These collectors Malai Agate are old beads from my personal stash. They are also known as hand drilled beads or old agate beads. They are not in perfect condition but will look nice in your collection. They are estimated to be between 150 and 200 years old. 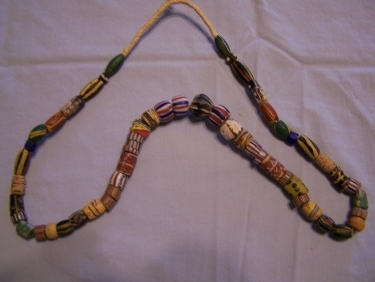 The strand is about 24 to 25 Inch long and has 130 Beads in the strand. 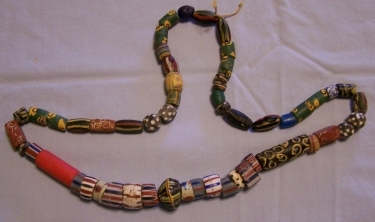 These classic old beads are from Africa, Italy, and Russia, and are often referred to as trade beads because they were used as a major trade item with the Indians during the fur trade era. The strand is approximately 25 to 26 inches long and has 55 beads. 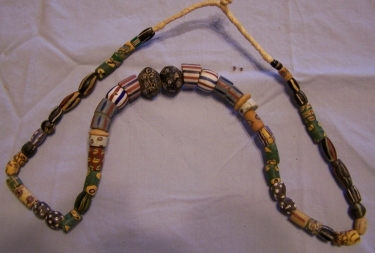 These classic old beads are from Africa, Italy, and Russia, and are often referred to as trade beads because they were used as a major trade item with the Indians during the fur trade era. 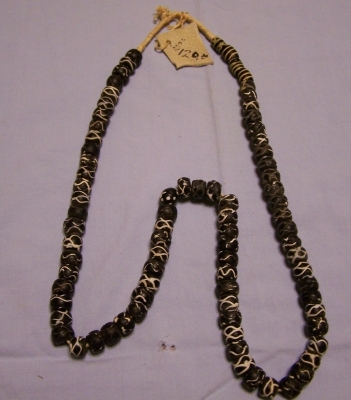 The strand is approximately 25 to 26 inches long and has 57 beads. These classic old beads are from Africa, Italy, and Russia, and are often referred to as trade beads because they were used as a major trade item with the Indians during the fur trade era. 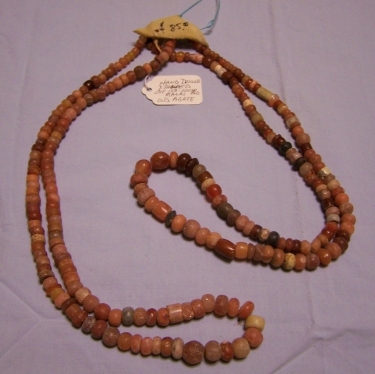 The strand is approximately 25 to 26 inches long and has 57 beads. A good assortment. These collector's Skunk Beads are old beads from my personal stash. They are also known as Crow medicine beads and black eye beads. They are not in perfect condition but will look nice in your collection. The strand is about 24 Inch long and has 55 Beads in the strand. The black Trail Beads are one of the beads that are found in every good collection. 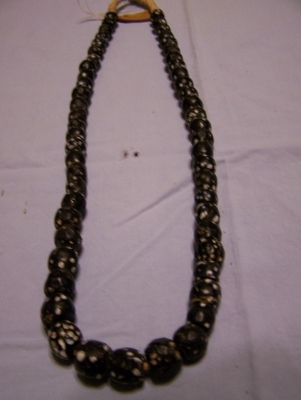 This strand is about 27 to 28 inches long and has 81 beads. The trail beads are known because they have a series of white lines that go all around them like little trails. The beads are not in perfect condition but are well represented for these old beads.